Developer : Beep Games, Inc. It's match 3. But it's a good match 3! Promise! "Three words: Safety. Deposit. Box." I'll admit I rolled my eyes at yet another match-3 game. 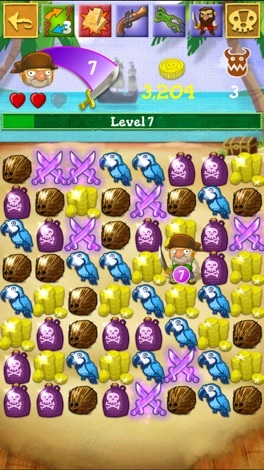 Get down off your high horse for a second, here, and dive into piles and piles of swipable loot: Beep Games, Inc.'s Scurvy Scallywags is extraordinary. 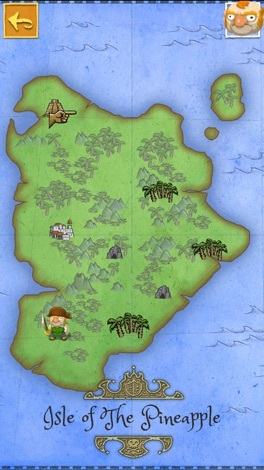 Coast your customizable pirate from island to island, raiding ancient artifacts and slashing the baddies within. It's all based on familiar match 3 dynamics, displayed in lovingly detailed visuals and accompanied by legitimately silly dialogue. 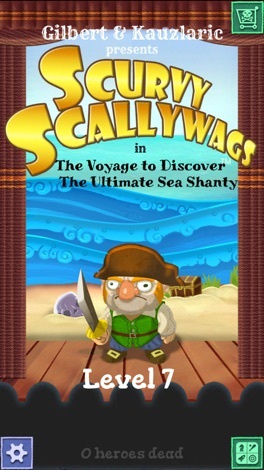 Earn new weapons and abilities to gain an advantage over your enemies, collect quest items, and unfold the Ultimate Sea Shanty storyline. It's a fabulous, super high quality match 3 game, even for those totally uninterested in the genre. A musical match-3 RPG brimming with pirates, ships, loot, and more gold than you can shake your rusty hook at! Move your pirate around the board by matching 3 or more tiles. With each match, the board shifts in the direction you swiped. Collect treasure as you visit mysterious jungle, desert, ice, and fire islands to reassemble a legendary Ultimate Sea Shanty. Fight to the death with evil pirates and monsters. Or, blast them with your arsenal of handy skills! * Universal App & iCloud for pirates on the go! Pick up exactly where you left off on any device. * Choose from 100 hats, shirts, swords, heads, and more to customize your pirate. * Use special skills to dodge enemies, collect extra loot, or win epic boss battles. * Build countless (okay, nine) different ships that improve your pirate’s buffs and stats. * Complete side quests and 50 GameCenter achievements -- you’ll be plundering for days. * Great replay value! Randomly generated islands keep the game going after completing the Ultimate Sea Shanty. 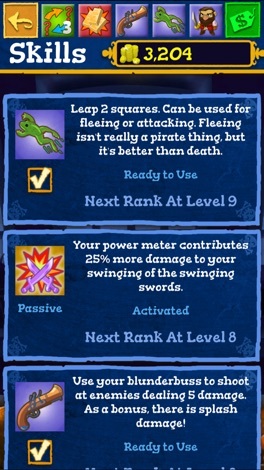 * Share your exploits and pictures of your pirate with built-in Facebook and Twitter. 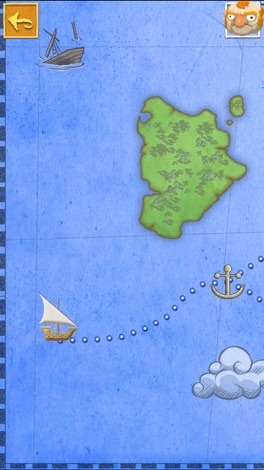 In Sea Loot you are a ship that gathers goods and sells them to small island towns. Collect as many coins as you can before the pirates take you out. Sea Loot is the second game in a game-a-month series with art by Crista and code by Bryan Singh.